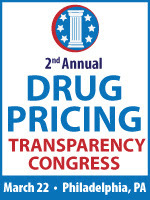 On the heels of an incredibly successful event last year, CBI is pleased to announce that its Drug Pricing Transparency Congress will be held again March 22, 2018, in Philadelphia. 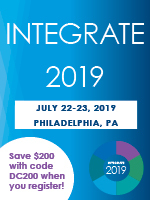 As the industry grapples with the increasingly difficult task of navigating over 33 state-specific laws (with more to come), this event has become a must-attend for pricing, transparency and compliance professionals. Register by 3/16/2018 and save $300* (mention discount code DCP322). Are you prepared for the impact these regulations will have on drug pricing and compliance practices? Whether you joined our dynamic dialogue last year or need a comprehensive update on state drug pricing reporting laws, this timely event will feature fresh perspectives and real-time updates on legislation. This monumental shift will undoubtedly impact so many functions across the healthcare system. If your responsibilities touch any facet of your organization's pricing, transparency or compliance efforts, you'll need to be on the pulse of the rapid developments. 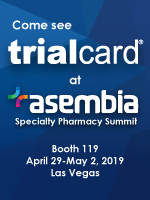 This conference will serve as an unparalleled uniting place for the industry to assess the future landscape and gain clarity on the many unanswered questions from industry experts such as Vertex Pharmaceuticals, Sidley Austin LLP, PhRMA, Pfizer, Mallinckrodt Pharmaceuticals, GlaxoSmithKline, Bristol-Myers Squibb and more. Don't be left out of the critical conversation. *Offer expires March 16, 2018; applies to standard rates only and may not be combined with other offers, category rates, and promotions or applied to an existing registration.